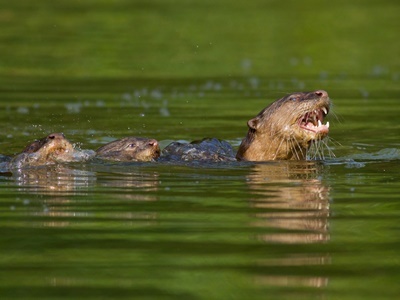 Otters play a crucial ecological role in maintaining functioning riverine systems. Smooth-coated Otters (Lutrogale perspicillata) and Asian Small-clawed Otters (Aonyx cinereus) found in Goa, India and are classified as Vulnerable on the IUCN Red List. Otter sightings have declined rapidly over the last 10 years and mining, construction, and dynamite fishing have severely degraded otter habitat. To date there has been no scientific study on otters in Goa which is preventing conservation actions from being taken. The purpose of the project is to collect data on otter distribution and threats and share findings with relevant stakeholders to generate support for otter conservation at the community and policy levels. Occupancy sampling will be used to map the distribution of otters and camera trapping will be used to identify species. Education and awareness materials will be disseminated to stakeholders to generate local support for otter conservation. Field survey data, along with informal discussions and semi-structured interviews with local communities will help to identify potential threats to otters and their habitat. Further meetings will be conducted with stakeholders to begin addressing threats. Findings shared with local policy makers will guide future management plans, taking into consideration otter habitat needs.